There are plenty of trends lined up for the summer ahead. There are bright neon pops and creamy pastel hues. There is yoga skin and embellished sandals that showoff your pedicure. But what about when it comes to your accessory game? 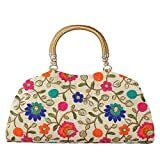 We suggest fitting in a floral purse (or three!). They'll stand apart from your regular evening wear and still manage to fit into the season with fresh, pretty touches. So what are you waiting for! Grab these 6 floral purses to add to your summer look right away. The Tooba Clutch Bag is covered with a cluster of black roses and has a metallic floral clasp. The Oh-Teri Party Clutch is handcrafted of pure silk with embroidered flowers over the beige base. The Duchess Clutch is a box bag in black with multicoloured embroidered flowers and a chain strap. The Tooba Clutch Bag screams summer with pink flower applique over it. The Paradox Party Clutch is almost a work of art. 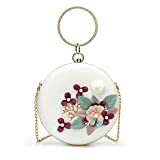 The circular white bag is studded with metal and beadwork flowers and has a circular handle and chain strap. 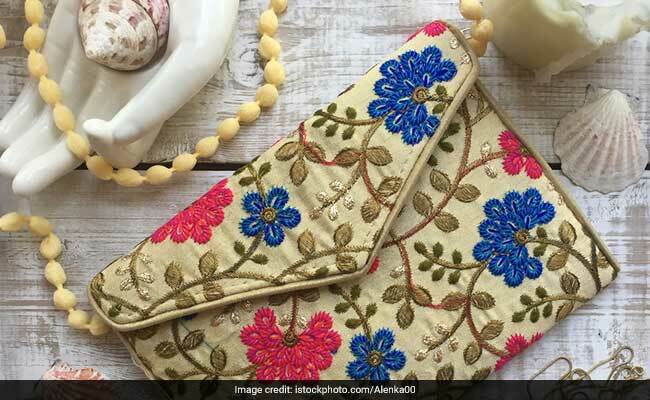 The Parizaat by Shadab Khan Clutch is a top-selling number and we can see why. The rectangular box clutch is made with floral printed fabric and covered with sequins on top. Shop for more floral clutches here. Your summer accessory set is now complete.